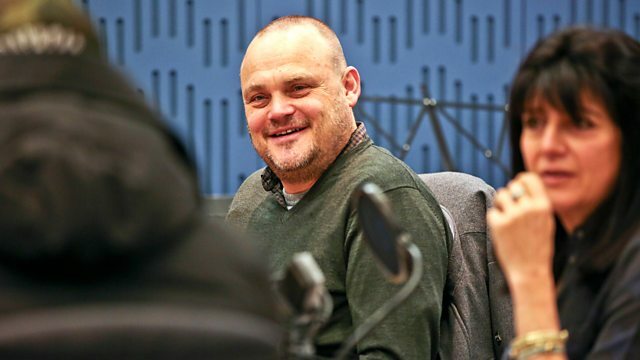 Clive Anderson and Emma Freud are joined by Al Murray, Ellie Kendrick and Spencer Jones for an eclectic mix of conversation, music and comedy. With music from Dave and The Surfing Magazines. 'Al Murray's Make Christmas Great Again' is on Friday 22nd December at 21.00 on ITV. 'Love Is Thicker Than Water' is in cinemas now and the DVD is available on 5th February. 'Spencer Jones: The Audition' is at London's Soho Theatre until Sat 6th January. 'Game Over EP' is available now on Dave. 'The Surfing Magazines' is available now on Moshi Moshi. The band are playing at The Crescent Community Venue, York on 17th December, The Moon, Cardiff on the 12th and The Jerico Tavern, Oxford on 13th January.